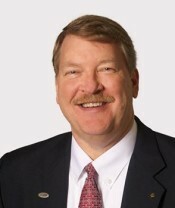 During his career he was the Manager, Bay Area Region for the Western States Petroleum Association; the Economic Development Director for the City of Antioch; CEO of the Homebuilders Association of Northern California (now Building Industry Association of the Bay Area); and a staff member for the Concord Chamber of Commerce and the California State Senate. He has over 30 years’ experience in Bay Area issues through his governmental affairs work for the business community and the building industry. Guy earned a BA in Government from CSU, Sacramento. He is a former Mayor and Council member for the City of Concord and a Past President of the Rotary Club of Concord.He was born and raised in the East Bay, attended Berkeley High School and graduated from the University of California, Berkeley with a BA in Environmental Design. He holds a Master’s Degree in Landscape Architecture from the University of Oregon, is a licensed Landscape Architect in California and a graduate of the Leadership San Ramon Valley program (2014). Lauren, his wife and their two teenage children live in Kensington, where his wife is an elementary school teacher, and they are actively involved with their children’s school activities.